I agree with Elton John when he sings, “Oh it seems to me that sorry seems to be the hardest word.” Still, I have to say it. My actions and words have driven a wedge between my wife and me. I have torn at the fabric of our relationship. I acted inappropriately. No, that sounds like a therapist. I was just plain wrong. I yelled for no reason. I hurt her with a harsh tone and angry words. I was wrong. I have to tell her I’m sorry. So, why is it so hard to apologize, anyway? Nobody likes to admit they were wrong, especially me. And, apologizing makes me feel so vulnerable. But, I have to take responsibility for my offense. Where is she? There she is, in the living room. I hope she accepts my apology. Our relationship rests in her hands, the hands of the one I hurt…and still love. That’s the point. I really want a relationship with her. I hope my actions have not damaged our relationship. There is only one way to find out…apologize. I sit down on a chair near her. I know that my apology will open the door for her to tell me the depth of pain I caused. I hate that I hurt her. It is good to see her smile. “You’re right. I’ll do that. And I’ll look at those crazy repair statements for something to say.” We both laugh a little as I walk toward her. I hold out my hand and she takes it in hers. I help her to her feet as we embrace one another. “I really am sorry,” I repeat. A sincere apology strengthens relationship and restores trust. It communicates how much you value the other person and our relationship with them. 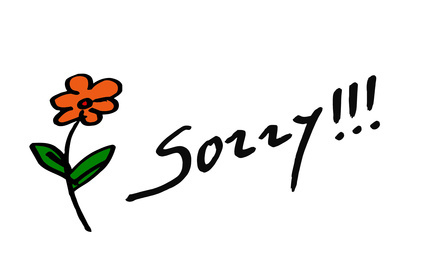 By apologizing we also accept responsibility for our actions…no excuses, no defending, no blaming. We simply accept responsibility for our actions and our words; we take the log out of our own eye. Doing so opens the door for change. Sorry may be the hardest word to say, but it communicates and restores respect, dignity, and love to the relationship.